Check Rates & Availability at Holiday Inn MOBILE - AIRPORT! Welcome to the award winning Holiday Inn Mobile - Airport. Our Mobile, Alabama hotel is conveniently located in the heart of the city off I-65 and only minutes from the Mobile Regional Airport (MOB). We offer a complimentary airport shuttle from 6am - 10pm. Our 100% smoke free hotel in Mobile, AL has the amenities to ensure your complete satisfaction. Families and business travelers alike will enjoy dining in Kems Restaurant or the convenience of room service. Enjoy our indoor heated pool and the 24-hour fitness center. All rooms feature a refrigerator along with a 40in HDTV. Our Holiday Inn Mobile hotel is perfect for families looking for lodging in Mobile, AL. Our hotel is near numerous local attractions, including the Mobile Historic District, Exploreum Science Center and the Battleship USS Alabama. Other attractions include the Robert Trent Jones Golf Trail, Bellingrath Gardens & Home and shopping at the Shops of Bel Air and Legacy Village. 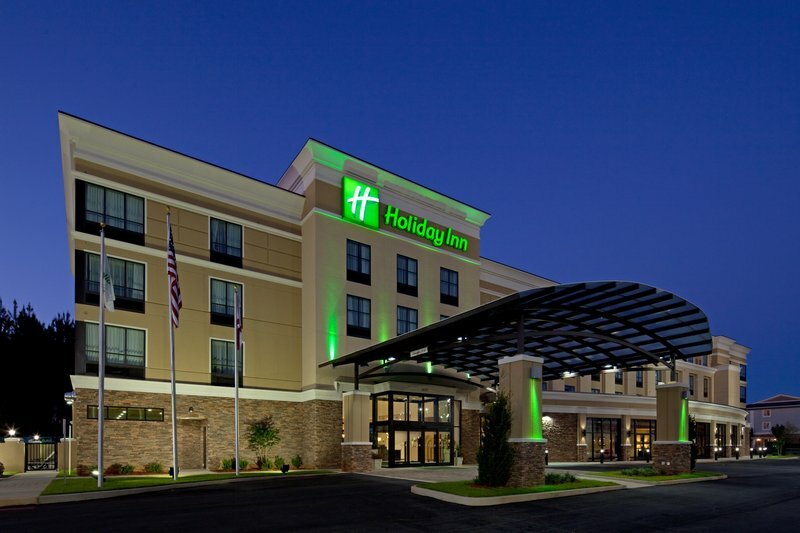 Business travelers in Mobile will be impressed by the comfort and amenities of our Holiday Inn Mobile - Airport hotel. With easy access from I-65 and I-10, our hotel is centrally located between downtown Mobile and the Mobile Regional Airport (MOB). Situated in the heart of Mobile, our hotel offers you easy access to local companies including Austal USA, Alabama Power, EADS Airbus, ThyssenKrupp and the Alabama State Port Authority. We look forward to seeing you soon. Casual American Cuisine. Restaurant not opened for lunch.